The fourth studio album from Mexican duo Lorelle Meets The Obsolete is their best yet. First coming to our attention a few years ago via Gideon Coe on his late night 6 Music show, Lorelle Meets The Obsolete are sure to cement their reputation as one of the finest psychedelic bands around with Balance, their beautiful new record brought to us by the excellent Sonic Cathedral in the UK and Captcha Records worldwide. Long since tagged as “Shoegazers”, their label note that Balance goes so far as to defy categorisation! Opening with the synth heavy title track Balance marks a departure from the sound they crafted on last album Chambers - opting more for a soundscape than the wall of sound created on the predecessor. It Must Be The Only Way is an early contender for the highlight of the album - dominated by a simple, looping, hypnotic bass, Lorelle capture the same ground as our beloved Coves found on their debut album Soft Friday. High praise indeed. Ching is a little darker and has epic, driven, almost Sister Ray like qualities before sequencing into the initially ambient The Sound of All Things. The Sound of All Things ends with a flourish of Stereolab proportions and brings to a close the first half of Balance. This opening disc is full of contrasting styles, showcasing the versatility of a band who have been a mainstay of the alternative festival circuit in recent years. The stunning Waves Over Shadows gets the second half under way. 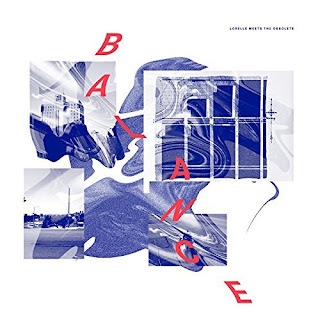 It's like a mini symphony with lots to listen out for and admire - another pulsating bass, light synths, layered guitars and beautifully delicate vocals from Lorena Quintanilla. La Distincion is cut from the same cloth as early Blossoms favourite Blow. Father's Tears is stripped back and provides the lightest, most reflective moment on the record before Waves Under Shadows takes over and the effects are cranked back up. The infectious Eco Echo brings the album to a close. Balance is Lorelle Meets The Obsolete’s most comprehensive work to date and they are currently out on the road all over Europe to promote it including a gig at Manchester's Night And Day on Thursday night (29). Lorelle Meets The Obsolete's website can be found here. They are also on Twitter and Facebook.